This patterned shirt by BOSS Business is a unique piece to add to your shirt collection. 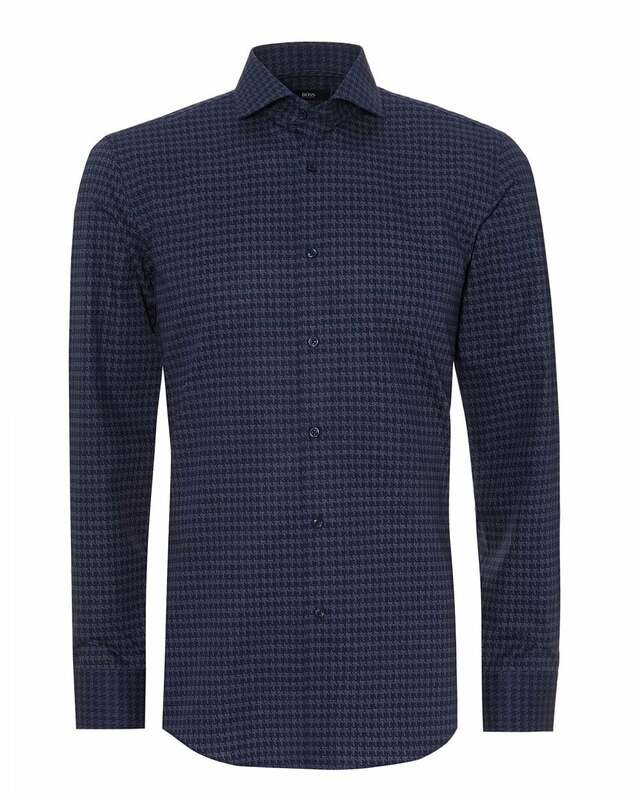 Featuring a dog tooth pattern all over a poplin navy blue cotton shirt. Wear with a pair of indigo denim jeans and jacket.